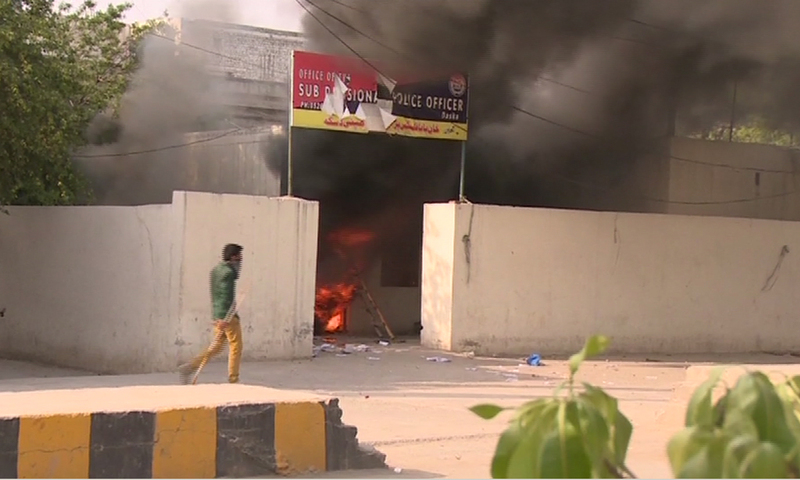 LAHORE (92 News) – After the murder of two colleagues by the SHO in Daska, lawyers set ablaze the Daska DSP and TMA offices and staged demonstrations in different cities of Punjab. They damaged police vehicles and thrashed officers. Lawyers from adjoining cities started reaching Daska. Funeral in absentia of two murdered lawyers will be offered in Lahore High Court tomorrow. Meanwhile, LHC Chief Justice Manzoor Malik has ordered deployment of Rangers in Daska. Chief Minister Shahbaz Sharif has taken notice of the incident and ordered IGP Punjab Mushtaq Sukhera to submit a report by this evening. 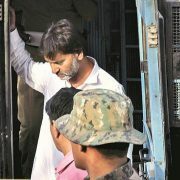 He said that the culprits will be brought to justice. He suspended the Daska TMO and made the assistant commissioner an OSD. On the other hand, the Punjab government has decided to form a joint investigation team to probe into the matter. Representatives of police, ISI and IB will be included in the team.